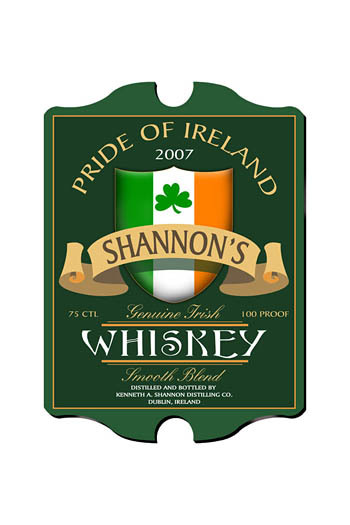 This personalized vintage Irish Whiskey Pub Sign is ideal for any Irish themed bar or family room proudly showcasing the flag of Ireland and a lucky green shamrock. The name of the owner and current year is printed along with a vintage ad for smooth, genuine Irish whiskey. Comes with plastic adhesive wall hanger. Measures: 10 3/4" x 15 1/2" x 1/4".